Shannon was director and owner of Everything Goes Dance from 1995-2015, and started dancing at the age of three. Shannon studied ballet, pointe, tap, jazz and flamenco under Jimmie & Carol Ann Crowell. She also studied flamenco and folkloric in Mexico with El Arca, tap and jazz in Los Angeles with Patsye Swayze and flamenco greats Lydia Torea, Jose Junco and Adela Clara. Shannon choreographed numerous dances and held workshops throughout Oklahoma. She was honored as one of Oklahoma’s official Artists in Residence and was an instructor with the National Endowment for the Arts Creative Communities program. Shannon was a featured artist, dancing the world premiere role of Death with Oklahoma City Ballet in Carmen in 2014. She also taught castanets and shared her passion for Spanish dancing with OKC Ballet company members. Shannon continued to perform with Oklahoma’s own Edgar Cruz in appearances throughout the nation. Shannon was founder and artistic director of İFlamenco Fantastico! and continued the tradition of excellence as director of the award-winning Everything Goes Youth, Junior & Senior Companies, established in 1976. Shannon was the featured dancer/choreographer of Opera Ole! with Canterbury Chorale Society and the OKC Philharmonic Orchestra in 2009. She guest starred with Edgar Cruz in Canterbury Choral Society’s 2011 season premiere, “Latin Rhythms,” at the Civic Center. Shannon toured as the featured dancer with the late flamenco guitar master Ruben Romero. Shannon’s mission in life was to share the joys of dance with Oklahomans through teaching and performances. Shannon taught jazz, tap, ballet, Latin, hip hop and flamenco. Shannon was featured at San Diego’s California Performing Arts Theatre and in flamenco videos for PBS Television. 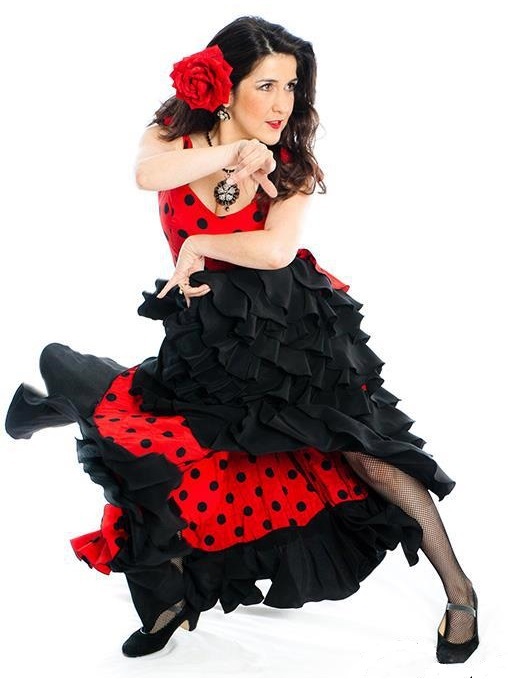 She was master Flamenco instructor and performer at the annual Robert L. Reed Tap Festival in St. Louis and the Kansas City & OKC Tap Festivals. Shannon spent 17 wonderful years as proprietor of Everything Goes Dance and 25 years as a teacher. Shannon was the proud wife of Master Chief Edward Primeau, US Navy. Her crowd-raising “Ole!” remains with all those who knew and loved her. We love you, Shannon! You are forever in our hearts.